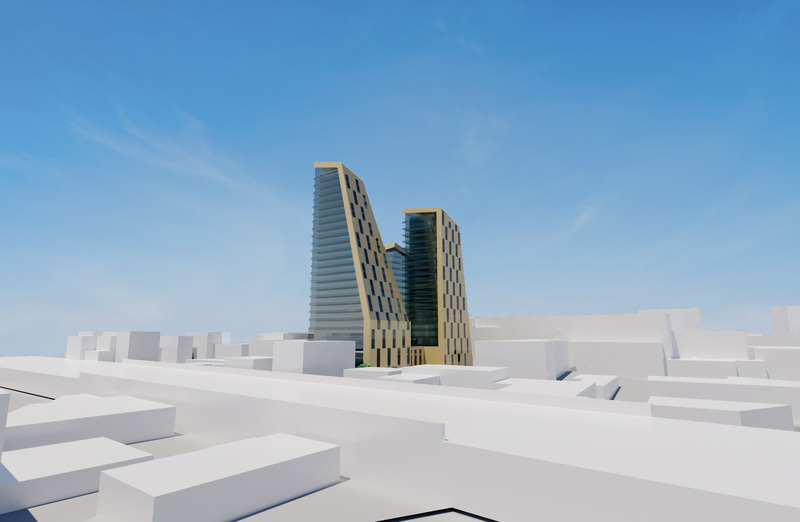 Architectural proposal for outstanding landmark development located in Romford, Essex. 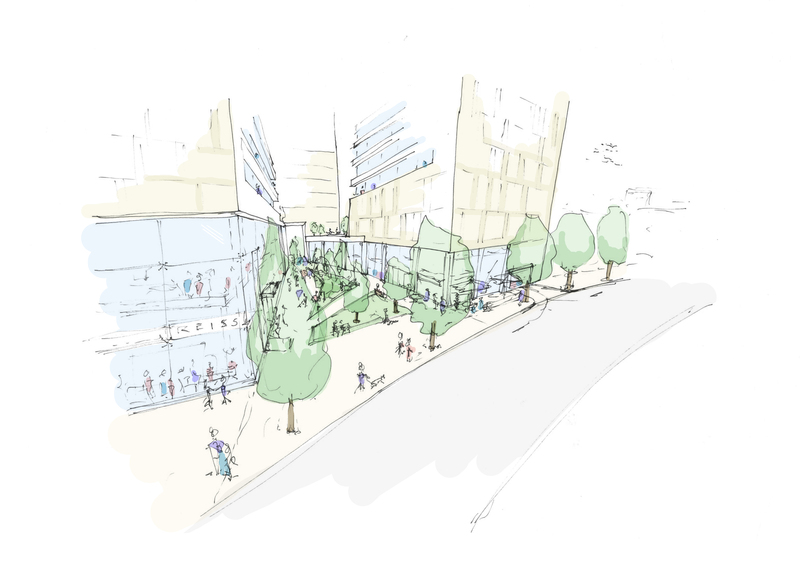 Other uses to include commercial space, retail space, hotel and basement car parking levels. 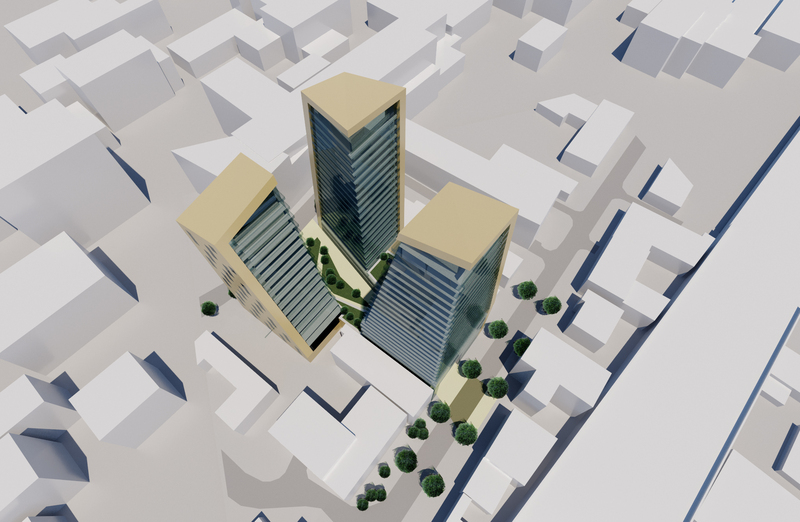 In line with the brief, the proposed design must consider linkages through the site from the railway to the surrounding retail, commercial and residential developments. Other considerations are that the architectural design and materials must balance buildability/economics of construction while delivering a desirable new development in Romford. 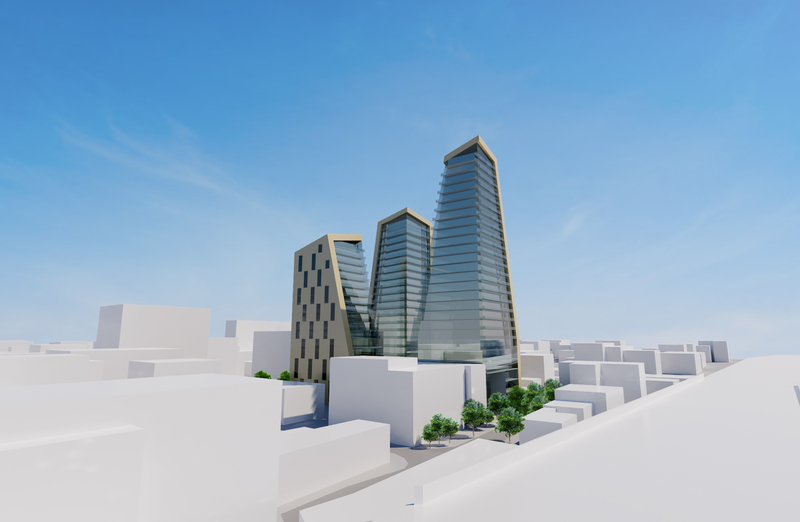 The proposed scheme will consider building heights up to 25 storeys with its prime use intended to be residential. Below are a series of 3D renders and architect's designs put forward for this residential apartment development project.